Procrastinating, I am. (Yoda cat). | details in the fabric.. I have an exam tomorrow. I really should stop posting stuff and revise. 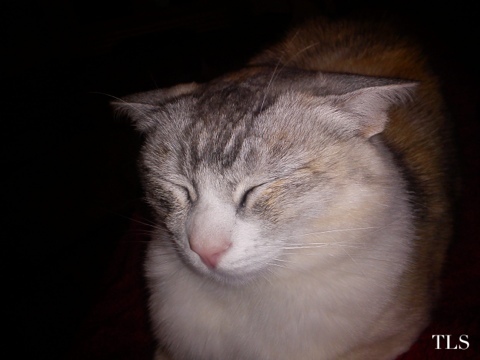 Casper doing an impression of Yoda.. had to share..
And for reference, here is Yoda himself..
Just realised that’s the first photo I’ve posted that isn’t mine! Oooo. Exciting stuff. Previous Ladyburg nails! Next Bella Luna..
Trackback: The incredible story of the powers of Yoda Cat and his dominion over history exams. « details in the fabric..